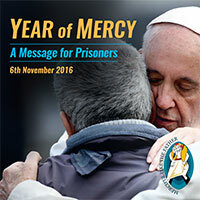 Recognising and valuing the human dignity of Prisoners, Pope Francis said, ‘no one is beyond the reach of God’s mercy’. In the past, our thinking and beliefs have been that everything will be resolved by ‘isolating, separating, incarcerating’ but in fact ‘the care of prisoners is a moral imperative for the whole of society’, reintegration does not begin within prison walls but rather ‘outside – in the streets’, the Holy Father said. It is during the time in prison that ‘the task of a chaplain is to let the prisoners know that the Lord is inside with them. No cell is so isolated that it can keep the Lord out. He is there,’ Pope Francis said.